What can The Transition offer you? Quite a lot as it stands! 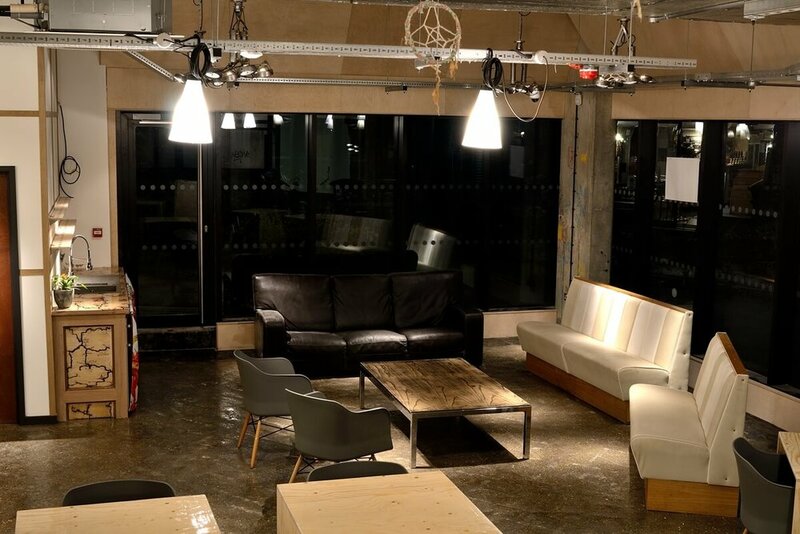 Rather than being stuck in a lonesome corner of a lounge or a less than salubrious office, why not get back to the social side of true co-working? All of our desks have power integrated into them. No trailing leads, no sitting around the coffee shop that you've been using as a stop gap, trying to find that one plug that everyone else has got their beady eyes on. The great thing about our layout is that you can easily kick off a conversation with the person closest to you ( should you wish to) or knuckle down to some work if a deadline is looming on the horizon. If you are coming in as a small group and you're working on a mutual project, with a looming deadline that needs you all the in same place, we've got the solution for you. We understand that you might need to kick back at points, so in your downtime or if you just need a change of aspect, we have areas available so to that you recline and realign. We know that there will be times where a bit of solitude will make all the difference. Step into a quiet booth for a bit of discretion,get deep in contemplation and let your ideas take shape. This is a key part of our approach to co-working. Having a desk is only part of the picture - sometimes five minutes in a booth is all you need for a bit of clarity. We have made provision for every conceivable situation that you might find yourself in. Being nomadic types, freelancers and the like often struggle to meet clients in a neutral environment - that is, a space where you can actually get something done. Our meeting room is a large room which can be configured according to your needs. Separate from the desk area but with lots of natural light, it beats being stuck in a room the size of lunchbox or crammed into the corner of a pub or cafe. On top of all the above, we serve amazing coffee and tea! If you become a member, you'll receive a discount on all drinks and get perks beyond The Transition. We currently have an agreement in place for discounts at a nearby gym, with further partnerships to be announced in the coming days. Need more information? Contact us here and make the transition.